Please read all the Terms and Conditions. By using this site, you are agreeing to all the Terms and Conditions. 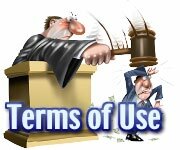 If you do not agree to all of these Terms and Conditions of use, please dont use this site! THE SITE DOES NOT PROVIDE TAX ADVICE. All the substance(content) of the Ivdgl Site, such as text, graphics, images, information obtained from Ivdgl's licensors, and other material ("Content") contained on the Ivdgl Site are for informational purposes only. Ivdgl does not advocate or support any professionals, products, opinions, or other information that may be cited on the Site. Ivdgl site is not intended to be a substitute for professional Tax advice. Always seek the advice of your Tax professional. Never dismiss professional Tax advice or hold off in seeking it because of something you have read on the Ivdgl Site! IVDGL WEBSITE IS NOT RESPONSIBLE FOR INJURY TO PERSONS OR PROPERTY THAT RESULTS FROM YOUR USE OF THE SITE, INCLUDING WITHOUT LIMITATION, USE OF ANY CONTENT ON THE SITE. 2) Liability of Ivdgl and Its Licensors. 5) Copyrights and Copyright Agent. 6) Your Requirements and Assurances. 7) Rules Relating to Ask a Question Services and Member to Member Areas ("Community Areas"). 8) Advertisements and Links to Other Sites. The content is protected by copyright under both United States and foreign laws. Title to the content remains with Ivdgl or its licensors. Any use of the content not expressly permitted by these Terms and Conditions is a breach of these Terms and Conditions and may violate copyright, trademark, and other laws. All content and features are subject to change or termination without notice in the editorial judgement of Ivdgl. All rights not explicitly granted herein are retained by Ivdgl and its licensors. You are making use of the Ivdgl content and the site at your own risk. Any information provided by a Tax professional on Ivdgl site is their own opinion and Advice, Ivdgl is not liable for it. The Content of the Ivdgl site, the accuracy of it or the currentness of it. The professionals, their profile and any information they furnish. In no event shall Ivdgl, its licensors, its suppliers, or any third parties cited on the Ivdgl Site be responsible for any damages (including, without limitation, incidental and consequential damages, personal injury/wrongful death, lost profits, or damages resulting from lost data or business interruption) resulting from the use or inability to use the Ivdgl Site or the content, whether based on warranty, contract, tort, or any other legal theory, and whether or not Ivdgl is advised of the possibility of such damages. You are the one held accountable for the breach of security of your password that you choose to access the site and your account. Liability falls on you under the membership agreement signed by you, even if the use of your account wasnt authorized by you including but not limited to the uses of your account to submit questions at the site or to answer questions through the site. Anyone who is not reliable enough to take actions for you should not be given access to your password. Ivdgl shall retain all ownership in the Site including all URLs, any content created or derived on the Site, and any articles or content submitted by a member. Ivdgl site shall and is hereby assigned by the member all right, title and interest in any material, ratings and/or comments. Member grants Ivdgl a royalty-free, perpetual, irrevocable, world-wide nonexclusive license to use, reproduce, create derivative works from, modify, publish, edit, translate, distribute, perform, and display the communication or content in any media or medium, or any form, format, or forum now known or hereafter developed. Ivdgl may sublicense its rights through multiple tiers of sublicenses. Member grants Ivdgl the right to use or reference Member's username on the Site and elsewhere to promote the Site without Member's consent. Member agrees that he/she will not upload or transmit any communications or content of any type that infringes or violates any rights of any party. By submitting communications or content to any part of this Site, they agree that such submission is non-confidential for all purposes. All Submissions are owned by you and Ivdgl Corporations use of the Submissions does not infringe or violate the intellectual property or other rights of any third parties. Engaging in any other conduct that restricts or inhibits any other person from using or enjoying the Site, or which, in the judgment of Ivdgl, exposes Ivdgl or any of its customers or suppliers to any liability or detriment of any type. Your Expert status, points and rankings may be modified at any time, and you may be disqualified or terminated as an Expert at any time at Ivdgl Corporations sole discretion. Ivdgl Corporation may (but is not obligated to) remove Content for any reason, with or without notice to you, including without limitation Submissions (as defined below) that do not conform with the rules for AskQ Service and terminate your access to the Site. Ivdgl reserves the right to take any action it deems necessary to protect the personal safety of our guests or the public. Ivdgl has no liability or responsibility to users of the Ivdgl Site or any other person or entity for performance or nonperformance of the aforementioned activities. Ivdgl does not endorse the content on any third-party websites. Ivdgl is not responsible for the content of linked third-party sites, sites framed within the Ivdgl Site, or third-party advertisements, and does not make any representations regarding their content or accuracy. Your use of third-party websites is at your own risk and subject to the terms and conditions of use for such sites. Ivdgl does not endorse any product advertised on the Ivdgl Site. You agree to defend, indemnify, and hold Ivdgl, its officers, directors, employees, agents, licensors, and suppliers, harmless from and against any claims, actions or demands, liabilities and settlements including without limitation, reasonable legal and accounting fees, resulting from, or alleged to result from, your violation of these Terms and Conditions. MEMBER USES THESE SERVICES AT HIS OR HER OWN RISK. To the maximum extent permitted by applicable law, you hereby release, and waive all claims against, Ivdgl and its employees and agents from any and all liability for claims, damages (actual and consequential), costs and expenses (including litigation costs and attorneys' fees) of every kind and nature, arising out of or in any way connected with use of the Site. If you are a California resident, you waive your rights under California Civil Code § 1542, which states, "A general release does not extend to claims which the creditor does not know or suspect to exist in his favor at the time of executing the release, which if known by him must have materially affected his settlement with the debtor." Residents of other states and nations similarly waive their rights under applicable and/or analogous laws, statutes, or regulations. If any part of this Agreement is determined to be illegal, void, invalid or unenforceable, then the invalid or unenforceable provision (or portion) will be deemed superseded by valid, enforceable language that most closely matches the intent and allocation of risk in the original provision (or portion) and the rest of the Agreement will continue in full force and effect. The Agreement constitutes the entire agreement between you and Ivdgl Corporation with respect to the Site and your use of the Site, and supersedes all other (prior or contemporaneous) communications or displays whether electronic, oral, or written, between you and Ivdgl Corporation regarding the Site and your activities. Ivdgl may modify or discontinue the site or the Terms and Conditions at any time. Your continued usage of the Ivdgl website will mean you accept those changes. Thank you for your cooperation. We hope you find the Ivdgl Site helpful and convenient to use! Questions or comments regarding this website should be directed by electronic mail to or via U.S. mail to Ivdgl at 84-22 127 Street, Kew Gardens, NY 11415.